April is Autism Acceptance Month and we would like to give back! So we will be giving 10% of our sales in April to iTaalk, a charity that supports children with Autism. iTaalk is a non-profit organization that provides iPads and devices for children diagnosed with ASD to aid in their education. You can help by scheduling an appointment for April, that's it! 10% of Gift Certificates sales purchased in April will also go to charity. 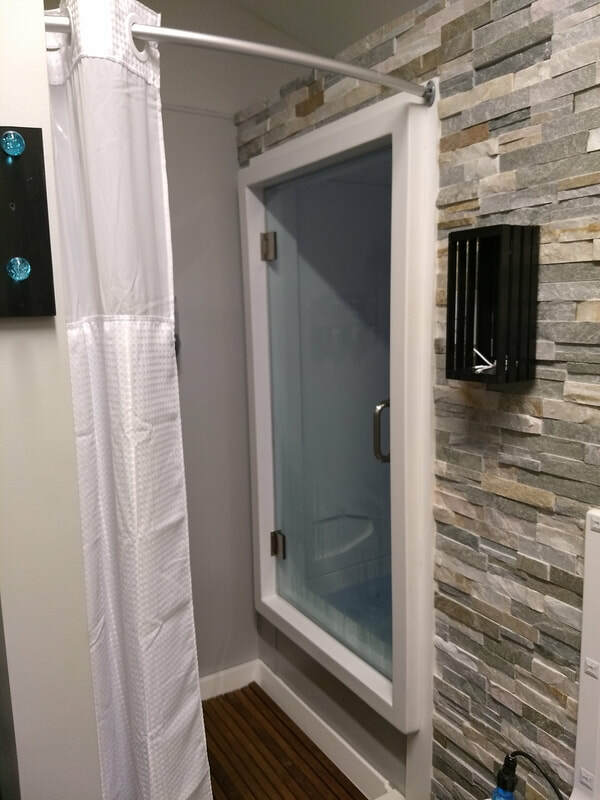 We are BY APPOINTMENT ONLY so make sure you schedule yourself some "me time"
Our Wave Float Room is almost 4 ft wide x 8 ft long and 6 ft at it's tallest, more room than a traditional tank. A private shower is located directly outside the tank door. Inside is about 10 inches of skin temperature water (93.5-95 degrees) and nearly 1000lb of pharmaceutical grade Epsom salt. The warmed air helps reduce stimulation and keeps the guest from getting cold. Our tank has client control LED lighting and music, including the option to connect your OWN music to the tank. Or let the stress melt away as you float in a light and noise free environment. Pair your float with a 60 minute massage for ULTIMATE relaxation. You can schedule your 60min services online! Just click the button above. We have appointments 7 days a week. Please remember, we are a very small business with limited staff! If you call and get our voicemail don't worry. That means we are in a service with another guest. If you leave a message we will get back to you as soon as possible. You can also TEXT us to set up appointments or schedule online.